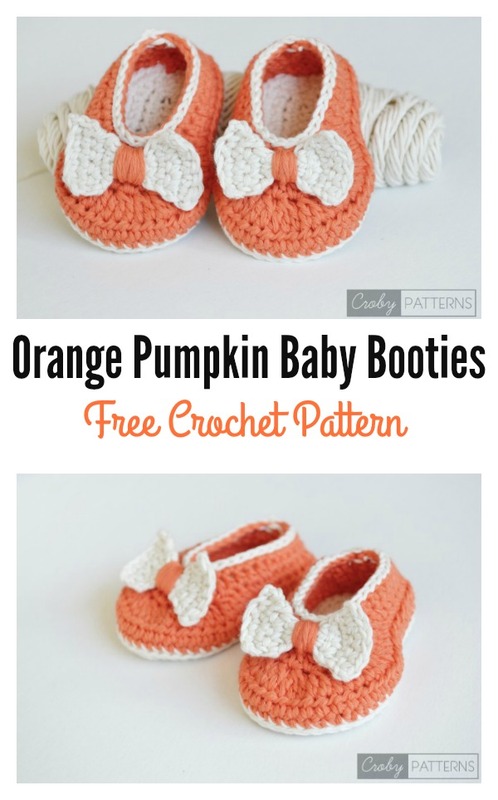 This Orange Pumpkin Baby Booties Free Crochet Pattern is so charming. Each bootie is adorned with a miniature crochet bow. It is the perfect accessory to any outfit. You can dress your little one in for the autumn and for Halloween. The pattern is an ideal project for experienced beginners. It includes instructions on how to make them in three different sizes. You can make a pair for your baby or give as a present for baby shower or a nice prop of newborn photo shoot. Enjoy. You might also like Baby Pumpkin Hat Free Crochet Pattern.